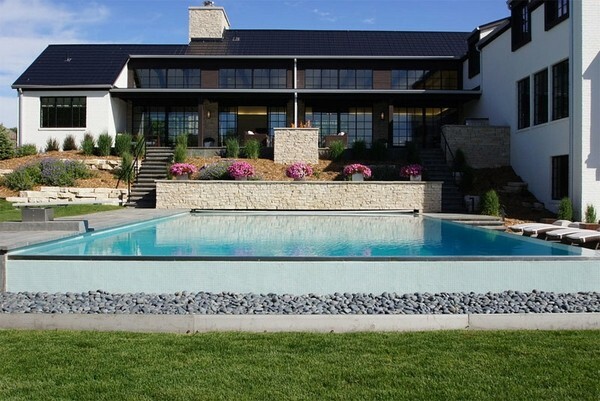 We will show you 40 modern garden swimming pool design ideas and will focus your attention on above ground pool decks. 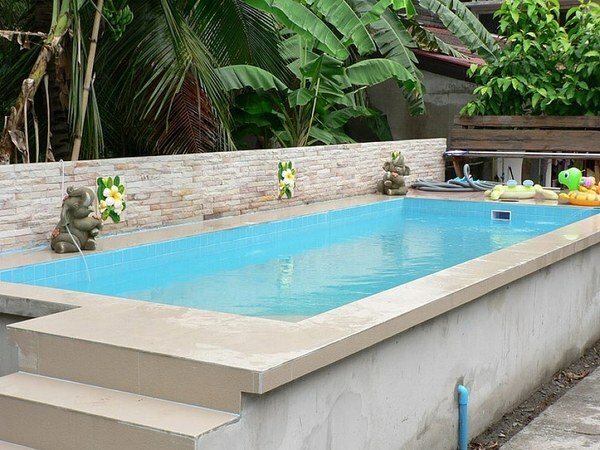 Many homeowners opt for above ground pools and search for above ground pool deck ideas as they offer a quicker installation, they save the digging and the mess in the backyard and are very reliable in addition to the striking look. 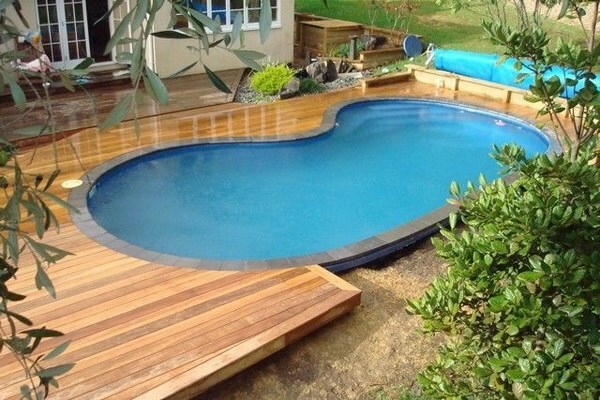 We will look at different decking options which will complement not only the pool but the overall impression of the patio area. 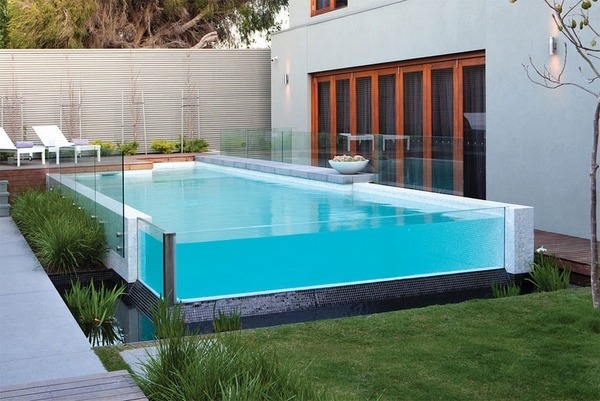 What are the main requirements to above ground pool decks? 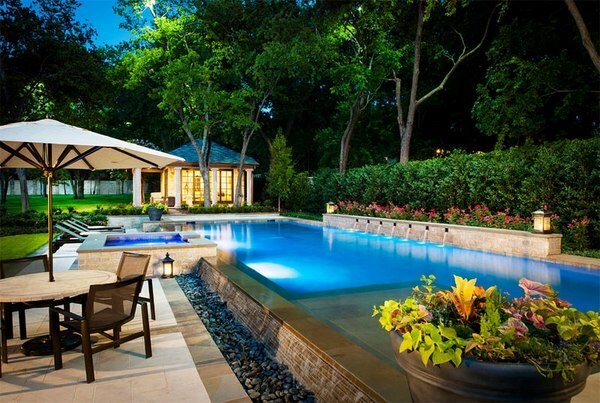 When you invested in a swimming pool you know that it is the focal point in your backyard. 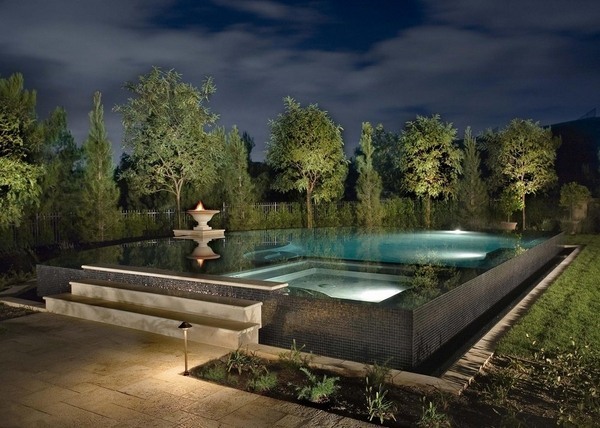 The planning stage is the time to consider the surround of it as the deck will complete the design and is the element that unites the pool and the landscaping. 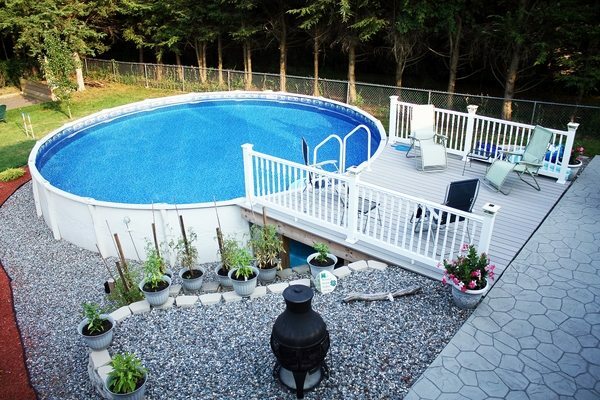 Above ground pool decks need to meet several criteria and you need to consider the size, durability, heat and slip resistance, the maintenance, the design options, deck shade ideas, the deck railings designs and of course, the cost. 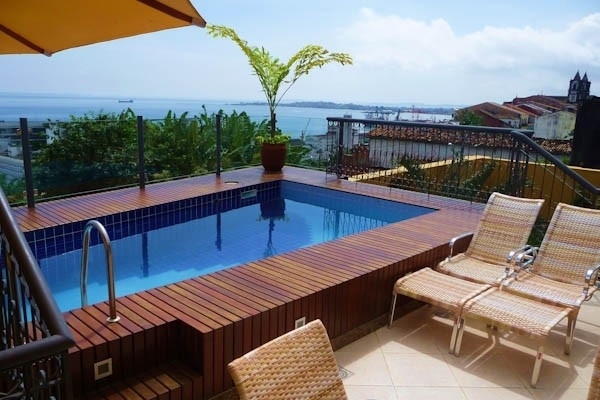 The size of your deck will determine what type of furniture you will have – tables, sun beds, lounge furniture, sun shades. 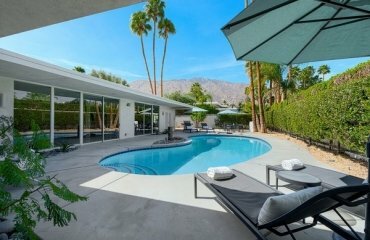 After all it is the outdoor area where you will spend time with friends and family and you want it to be as comfortable as possible. 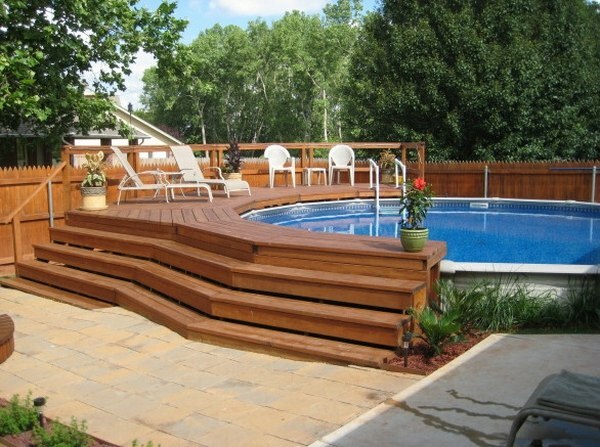 Slip resistance is of major importance when you choose the material for your deck. 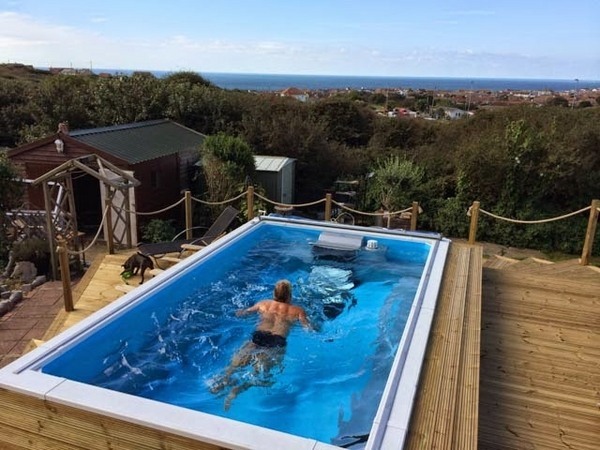 Many decking materials can become slippery and safety is a high priority for everyone, especially when we talk about above ground pools as the construction is likely to feature stairs and railings. 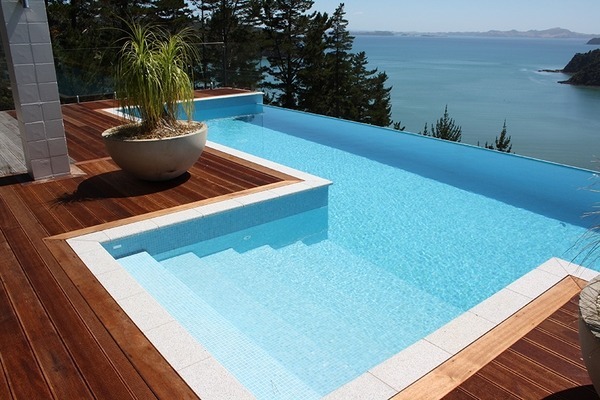 Heat resistance is another important feature of pool decks. For example, bricks and Saltillo tiles can become extremely hot while other materials like teak wood are more suitable for walking barefoot. 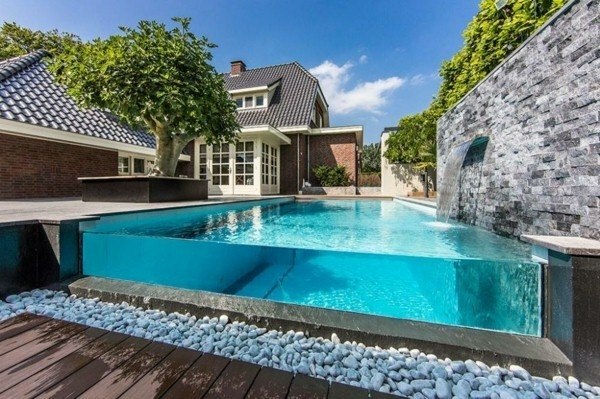 Concrete with reflective properties is also a suitable material for pool decks. 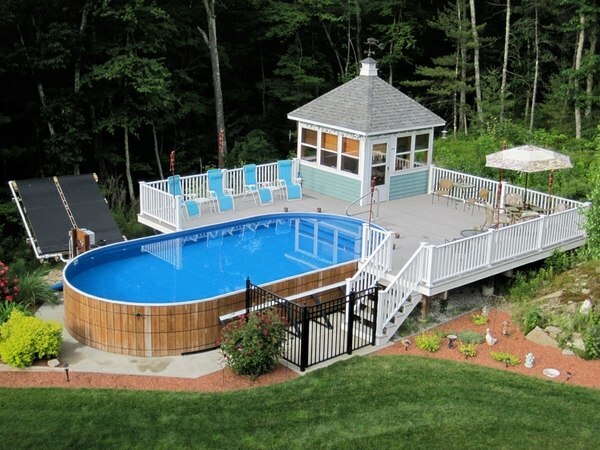 When you choose the type of your deck you need to consider the life span and the ease of maintenance. 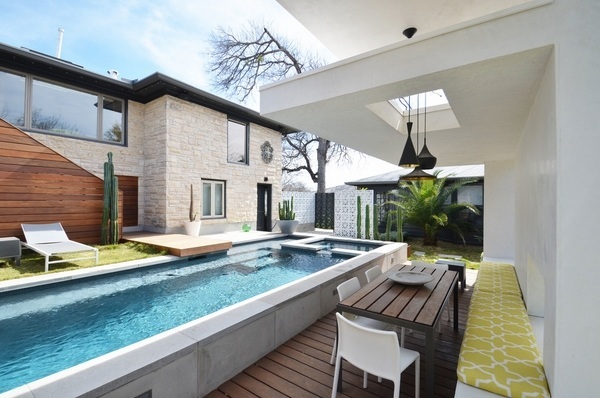 Wood, stamped concrete, bricks, pavers, limestone, tiles – all these require different type of maintenance so you need to see which one is most suitable for you. 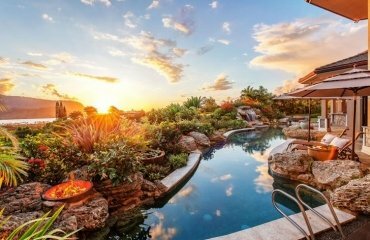 The cost of the materials and your budget will influence the choice of deck materials, but it is recommended that you choose the best quality that you can afford. Remember, that in addition to the material, there is an additional cost for installation. 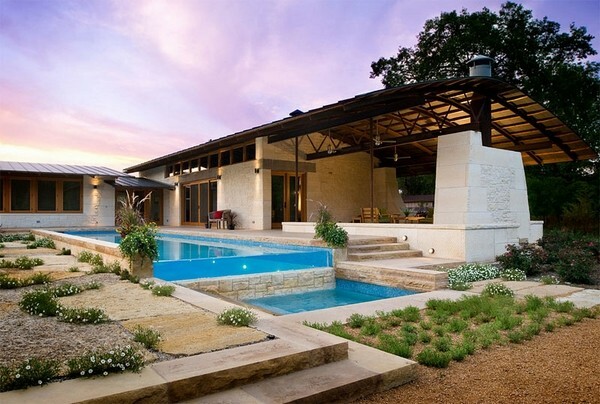 What are the best materials for above ground pool decks? 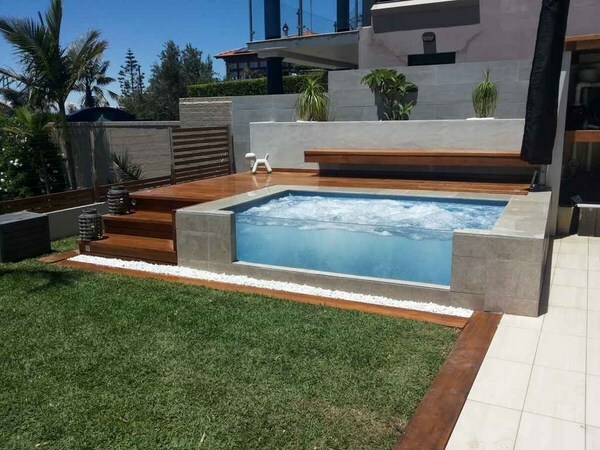 Above ground pool decks can be constructed form different materials and each of them has its advantages and disadvantages, aesthetics and offers a different visual appeal. 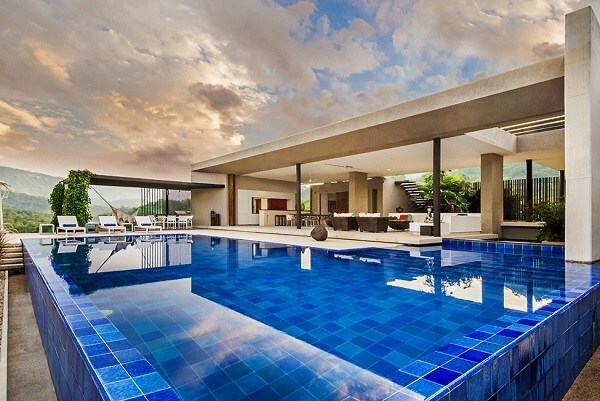 Tiles, travertine, wood, natural stone, limestone, bricks – these are just some of the options to choose from. 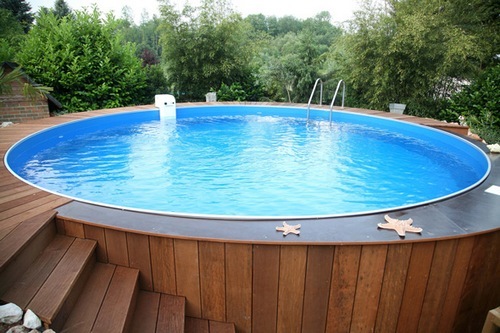 Wood is one of the best natural materials and has a strong position in modern pools design. 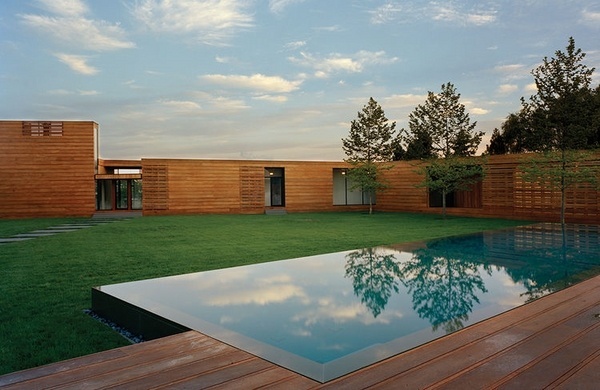 A wood deck has a spectacular appearance and meets the safety criteria like no other material. 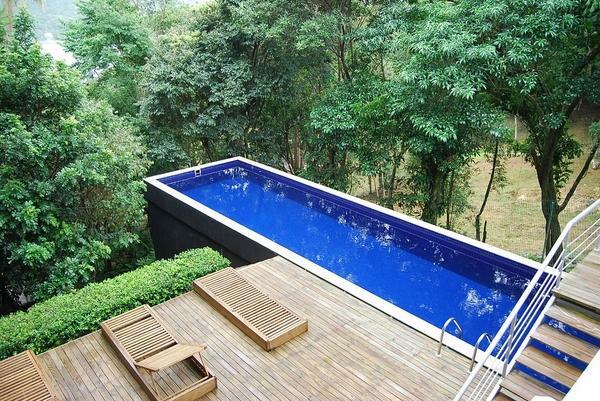 It does not get as hot as stone or tiles and is not slippery. 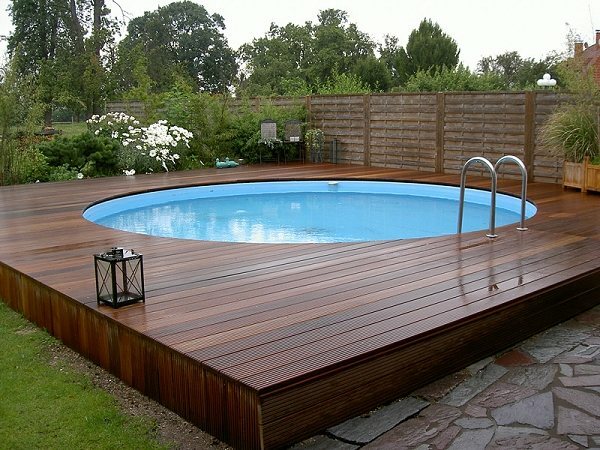 Ipe, cedar, cypress, teak are the most popular choices for decking. 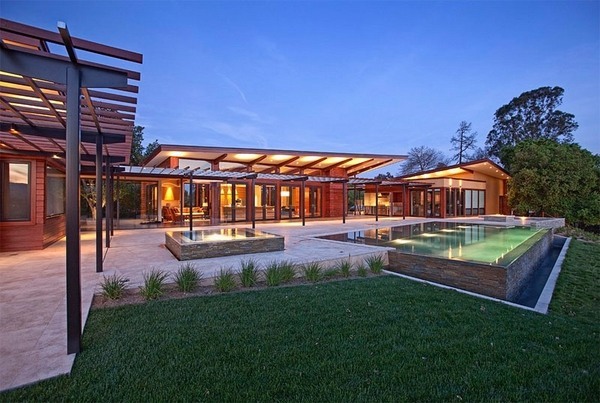 However, wood requires maintenance on a regular basis to avoid mold and rotting. 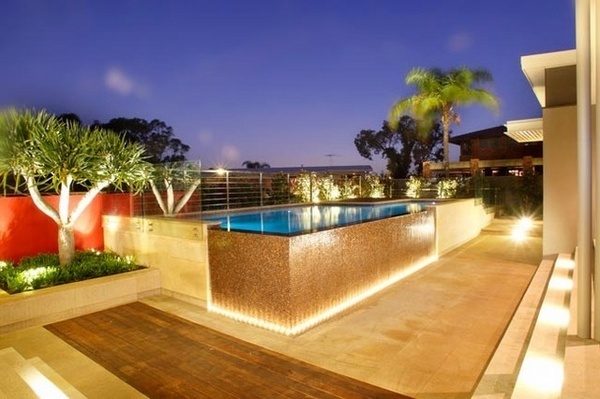 Brick are another popular option as they are durable and with great visual appeal. 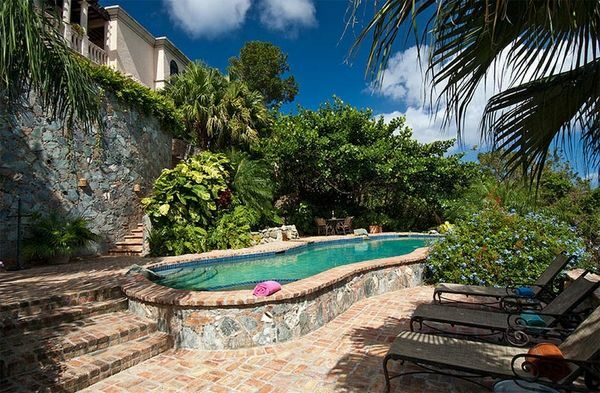 It is recommended to use smooth bricks as it will be more convenient to walk barefoot. 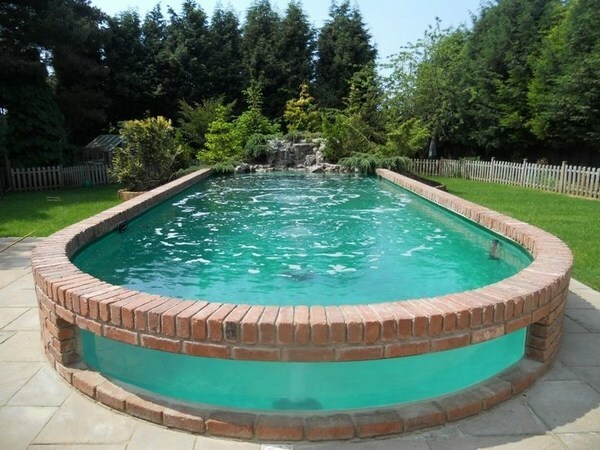 Bricks have a long life span and are very durable but they require sealing and maintaining. 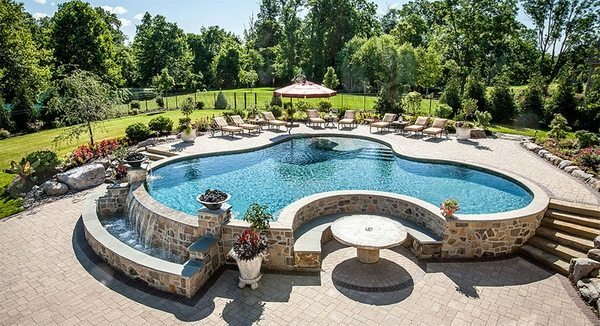 Natural stone pool decks are very attractive and there are many options to choose from. 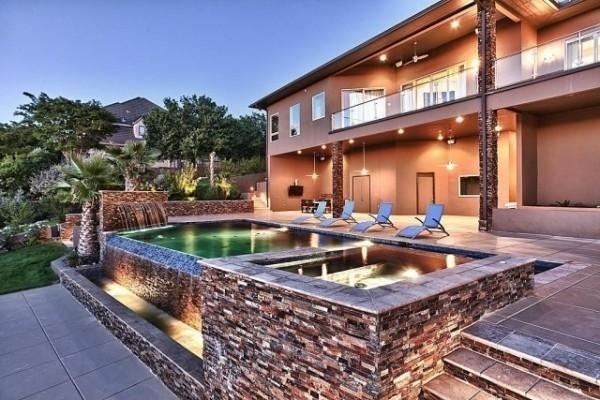 Colors vary for every type of stone and the choice is quite big. 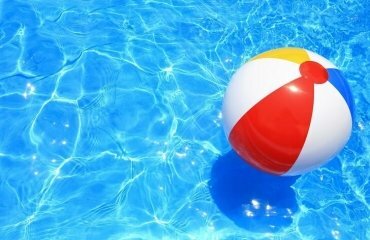 Experts advise to avoid stones in dark colors as they absorb heat. 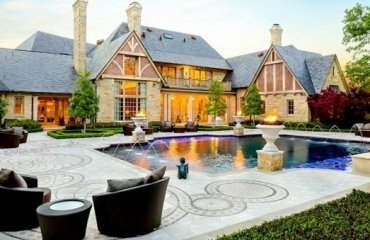 Poured or stamped concrete is a cost effective option which offers a wide variety of colors and finishes. 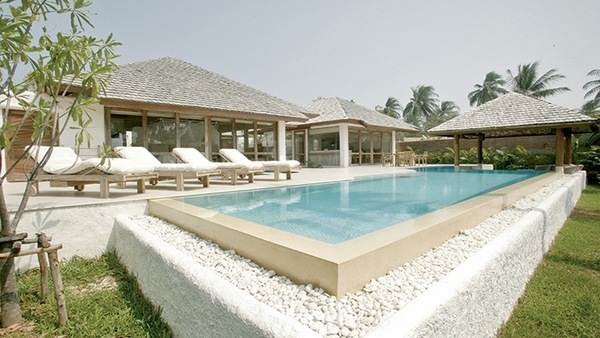 Design-wise the opportunities are endless but a smooth surface can be slippery around the pool.